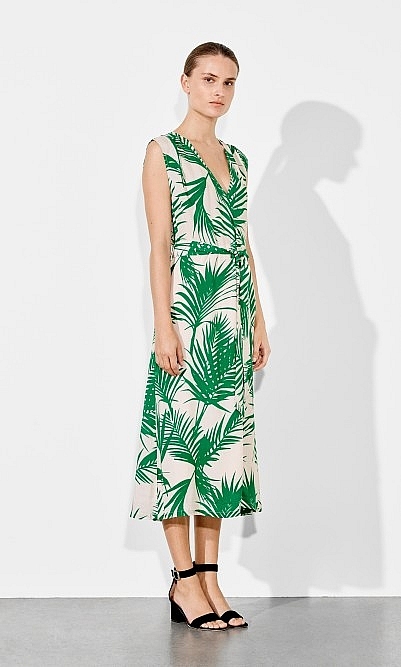 Sleeveless A-line, midi dress with a palm-leaf print. Features a tie waist and a flattering v-neck. L120cm. Fabric and care: 100% Viscose, a plant-derived fabric.